You may have made a New Year’s resolution to lose weight, gain more faith, or increase your personal time with family. Perhaps you’re in the midst of your annual fast and prayer effort to discipline your body and renew your spirit. Good for you! But isn’t that the same thing you did last year? Maybe it’s time to change your thinking as you create ways to make this year better. Maybe it’s time to do a “new thing”! 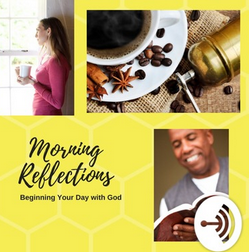 In this mini-series, we will examine three (3) Old Testament scripture to develop new thought on how to walk in God’s divine purpose for your life. It’s been said, “If you keep doing what you’re doing, you’ll keep getting what you got!” So do a new thing! God’s thing! Walk in the divine purpose God created just for you—from the beginning of time (Eph. 2:10). In the Old Testament, the use of “a new thing” is cited in only three (3) texts: Isaiah 43:19, Numbers 16:30, and Jeremiah 31:22. Here they describe situations where God’s greatness and sovereignty is on display as He “invites man” to move into His designated purpose. In the New Testament this concept of “a new thing” is manifested in the fulfillment of Messiah who came to gift us with salvation and to restore man to God’s original purpose—to glorify Him and live with Him forever. God was unable to fulfill His purpose through families, tribes or kings; through prophets, mediators or priests. God brought salvation to earth through Jesus Christ—“God’s new thing”. “Now it shall spring forth; shall ye not know it?” See what happens when God does a “new thing”. In our text today, God is promising to retrieve and restore Israel from their 70-year exile. Their deliverance out of captivity would be more famous than that from Egypt (Jer. 23:6-8). Israel thought they knew God but He was about to show them something different—“a way in the wilderness, rivers in the desert”. To do this would be humanly impossible but God alone had the power and authority to do “a new thing” (Is. 45:7, 12). Are you “lost in the wilderness”—trying to figure out which way to go? Are you searching for “rivers in the desert”—relief from dealing with the struggles and setbacks in your life? God wants to do a “new thing” in your life so you can walk in His divine purpose. How will you know your divine purpose? Position yourself to hear God speak to you—pray, read and meditate on His Word. Reflect on where God has been working in your life. Humbly confess areas of sin in your life that are interfering with your hearing God. Then, ask God how you can serve in His Kingdom (your purpose), wait patiently and listen attentively. God invites you to join Him in doing a “new thing.” When we trust God with our lives, we can look forward to an exciting future with purpose (Jer. 29:11). This should be and will be a good series of study. It is my understanding that because the Israelites were disobedient in their walk and their worship they were not allowed, that generation, to enter the promise land. So God chose to begin a new thing for the next generation, all rooted and grounded in Jesus Christ. I believe He can and does do the same thing today in each of our lives if we only ask. I love where I am today in my relationships with my Father. It took me a long time to get here and I never want to go backwards. I can always improve but I hope and pray He will be kind in my future testing. Regardless, I know that He loves me and will be there to go thru the valleys with me.